Home / More is More! 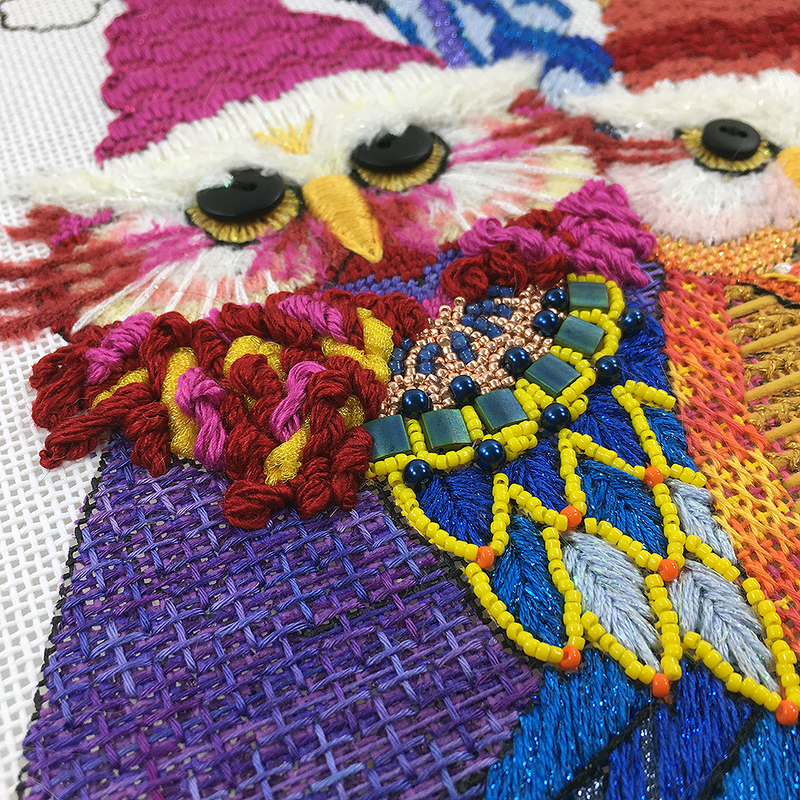 More beads, more patterns, more texture. YAY! 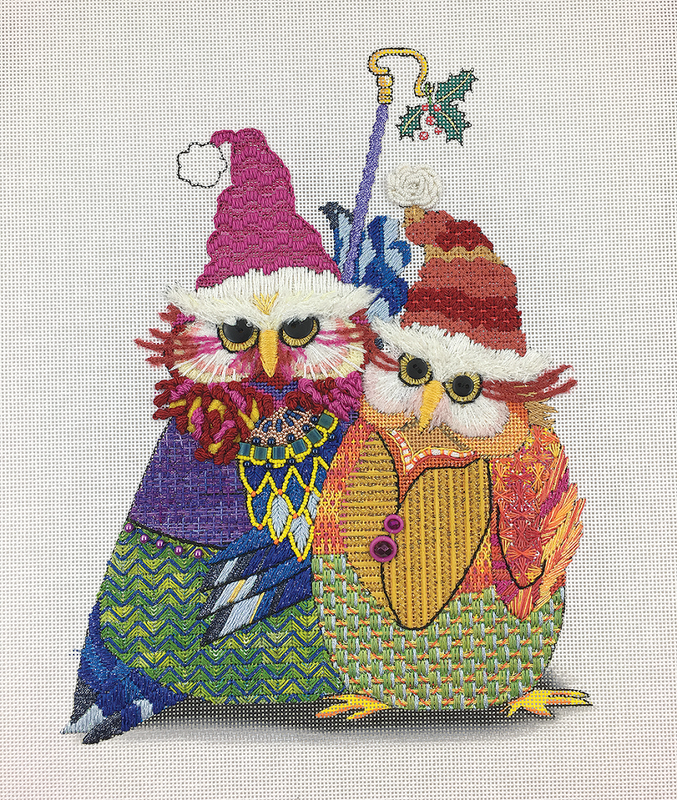 Yesterday was the third lesson of the Holiday Owls, Stella and Max. Lots of fun details are being added. I love these guys. We’ve added a hat and pom pom. Check out this wing! It really is a free for all of stitches. Super fun and pretty quick. And then! This is the part I have had in my mind since the beginning. I love the blue wing. All of those beads and the ruffly feathers at his neck. Oh my! Those are super quick too. One more lesson to go and then on to something new. 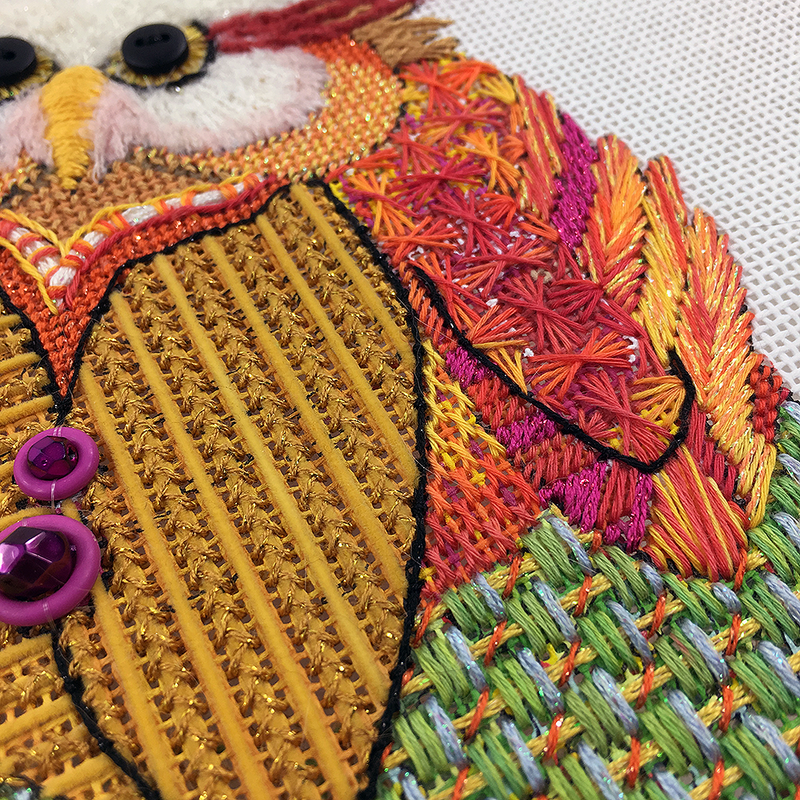 If you would like to stitch your very own Stella and Max, here’s the link, or simply give us a call at 410.296.0405 and we’ll take it from there. « Previous Mystery Post: Feathers!!!! Oh I just love these two! So festive! 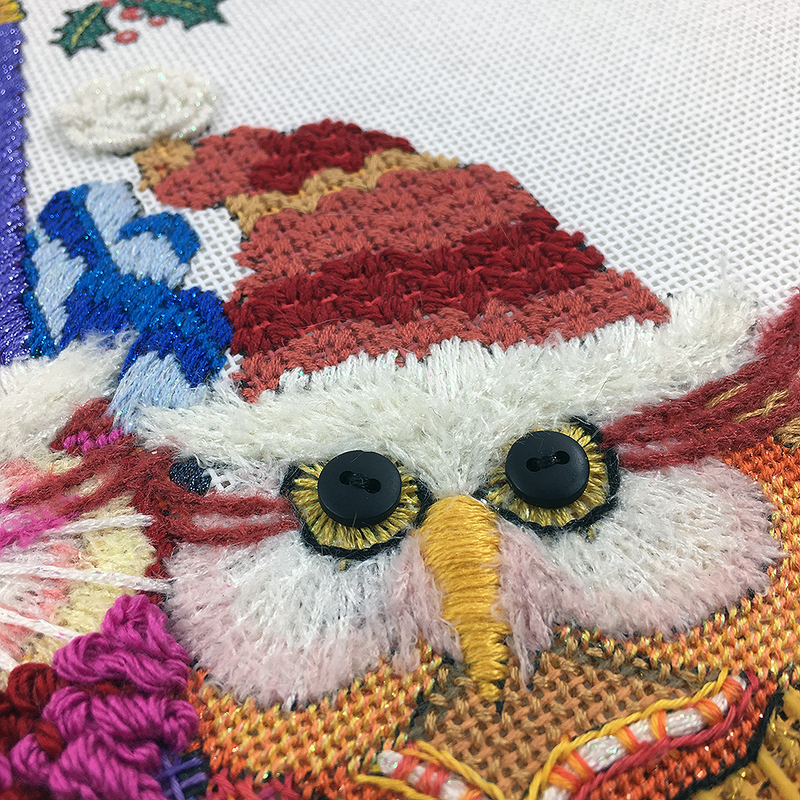 So many great stitches and threads! One of your best ever!